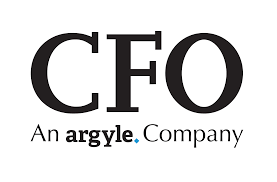 Ashish’s article was published in CFO in April 2018. What Doc Brown doesn’t know about running a business is a lot. While Back to the Future may warn of an altered course of history, in real life having information about the future is vital to running a successful business. When that business is private equity-backed, the reporting demands of the fund sponsor combined with the narrow margins for optimization make it that much more critical. We even have a word for these future-state assessments: forecasting. The forecasting season is upon us. But, before we talk about the when (which is now), let’s talk about the why, because the lines between budgeting and forecasting seem to have blurred, as have the goals for doing each. A budget sets detailed targets for the year ahead. A forecast is the latest outlook based on the results. If the yearly budget lays out the plan for where the business wants to go, the quarterly forecast indicates where the business is actually headed (and as such, enables informed near- and medium-term decision making). The problem is that many companies find the budgeting process — an exercise that has presumably just wrapped up — so laborious and time-consuming that they’re reluctant to spend more resources on quarterly forecasting. Or worse, companies create such detailed, granular budgets that they don’t deem forecasting necessary. But they are. Budgets and forecasts are different animals. The former has an aspirational quality, while the latter is fundamentally rooted in reality. Management can course-correct based on forecasting data, but budgeting contains goals that may not be attainable due to changing market conditions. Forecasting not only captures the material deviations that occur during the year, it arms management (and fund sponsors) with the timely information to evaluate root causes and adjust plans accordingly. Skipped Steps. Herein lie the forecasting non-believers. Those are the companies that believe a detailed budgeting exercise (perhaps combined with monthly reporting) is sufficient enough. The finance team only undertakes forecasting sporadically, or in a reactive manner — when the numbers really don’t match up to budgeting expectations. They’re skipping steps, but expecting a successful result. What these companies may not realize is that though budgeting and forecasting are distinct entities, one doesn’t work well without the other. They are part of a symbiotic relationship. In business-speak, we call it an integrated budgeting and forecasting process. The budgeting cycle should begin toward the end of the summer, with finalization in December. The forecasting, which should begin now (at quarter’s end in April, and then again at each quarter end), not only measures against budgetary expectations, it feeds into next year’s strategic budget planning. Bottom Line: Budgets informed by prior forecasts make for more accurate budgets. Skipping steps leads to inaccuracies all around. Good forecasting usually follows the 80/20 rule, which estimates that 20% of a company’s drivers are responsible for 80% of the company’s results. In which case, if the finance team focuses forecasting efforts on the 20%, limiting time and effort on the rest, its forecasts will not only be more digestible, but certainly more timely and likely more accurate. Bottom Line: Searching for forecasting granularity is a fool’s errand. Save the details for the budget; forecasting provides the big-picture view. Data Talks: Is Finance Listening? We’re in in the middle of a data revolution, and yet we often see companies ignoring real-time metrics in favor of historical data. Or, we see companies consumed by the explosion of data, unsure of which metrics best inform forecasting projections. Good forecasts turn data into information and then into insight. But, to complete that transition, the finance team needs to identify, leverage, and integrate the right data sets and ignore the superfluous ones. There needs to be the right balance of internal metrics (visibility into revenue, market share, customer drivers) and external metrics (understanding of sector, macroeconomic tailwinds, competition) to forecast with enhanced accuracy. Bottom Line: It’s about the right balance of the happening-right-now internal and external metrics. And then it’s about turning those metrics into actionable analytics. It’s a Duet, Not a Solo. But only finance is singing. The forecast should be a joint business-finance creation. Too often, finance is dictating, not participating. The reasons for that may be two-fold. It may be that finance feels territorial over the output or process, in which case finance will have won the ownership battle only to lose the accuracy war. There’s never been an accurate forecast that hasn’t been informed by the risk and opportunity, revenue optimization, and management insights of the business teams. Business teams have their eyes and ears closest to the action. They are key stakeholders in the process and outputs. Or, it may be that finance’s ownership is by default — business units push back on joint forecasting development, fearing a prolonged investment of time and resources. It’s a rational fear; the forecasting process is often unwieldy and inefficient. Here, it is finance’s job to transform the forecasting approach: redesign the timeline, the scope, and the process to make it less burdensome on the business (which, as a bonus, also makes it more accurate in its outcome). Finance might also emphasize to business partners the conflict-free nature of the forecasting process (relative to budgeting), given the absence of compensation implications. Bottom Line: Establishing forecasting best practices will not only yield greater partnership in a forecast’s creation, but will lead to a forecasting process that’s more aligned to business strategy. They may not need roads where Doc and Marty are going, but businesses need roadmaps. Management must have the ability to identify gaps between budgets and actuals, and course-correct accordingly (or alert the owners where that course-correction is not abundantly clear). Fund sponsors must have accurate visibility into portfolio performance, prior to year-end close. The demand is loud and clear. Will finance deliver? Only 1% of organizations achieve 90% forecasting accuracy 30 days out. Here's why.